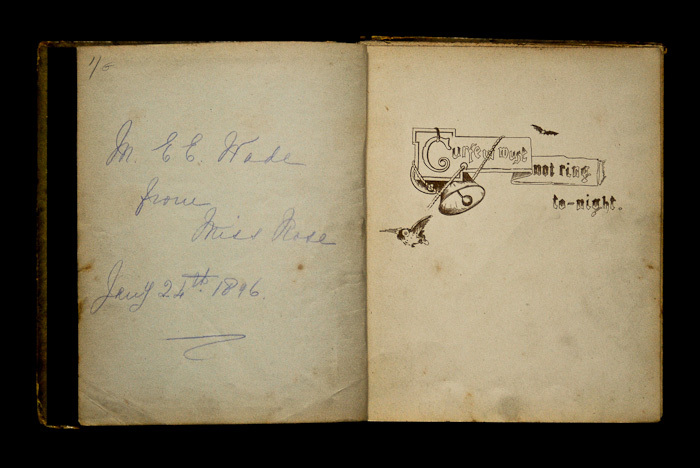 According to the original inscription, my copy of Curfew Must Not Ring To-night, by Rose Hartwick Thorpe, dates from before 1896. It was given as a present to my grandmother from her mother in March 1912, and along with her copy of Hans Andersen’s Fairy Tales it provided some of the outlines for my earliest literary ‘mental maps’. At the ringing of the Curfew, and no earthly help is nigh. Tell the children why the Curfew did not ring that one sad night. Touched his heart with sudden pity, lit his eyes with misty light. Kneeling on the turf beside him, laid his pardon at his feet. 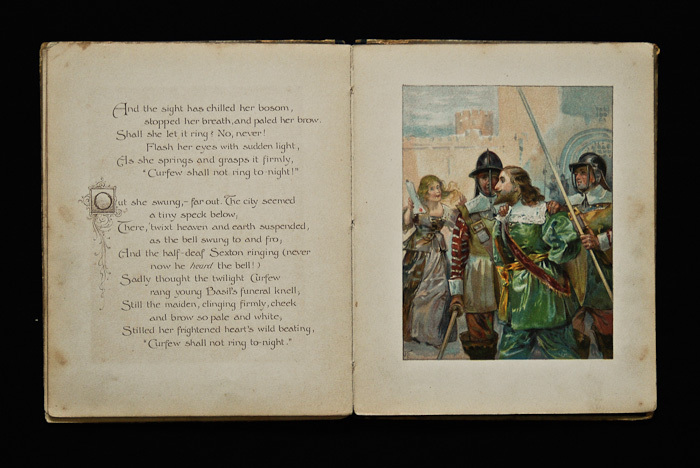 In this version the story is set in 1471 rather than in the 17th century, and an internet search suggests that the legend of Blanche Heriot was first brought to a wider public in two works by the Chertsey-born Victorian writer Albert Smith (1816 – 1860). His play, Blanche Heriot, or the Chertsey Curfew, was produced in 1842, and in 1843 his short story on the same subject, “Blanche Heriot: A Legend of Old Chertsey Church” was published in The Wassail-Bowl: A Comic Christmas Sketchbook, Volume II. 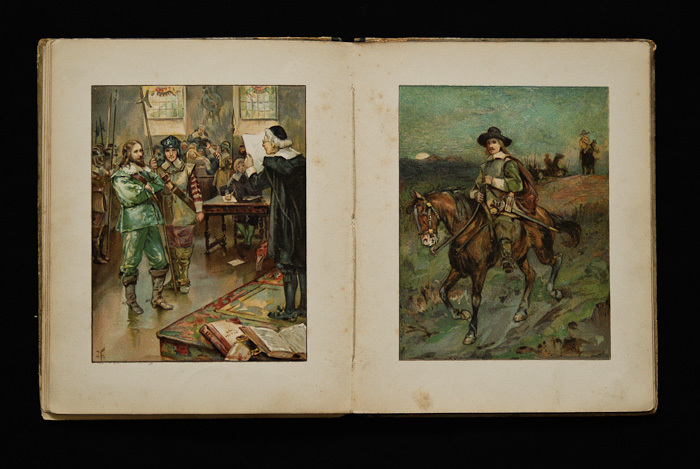 In 1865 an article by Lydia Sigourney (1791 – 1895), “Love and Loyalty”, appeared in the American publication, ‘Peterson’s Magazine’, and this seems to have provided inspiration for a further version by another American writer, Rose Hartwick Thorpe (1850 – 1939). 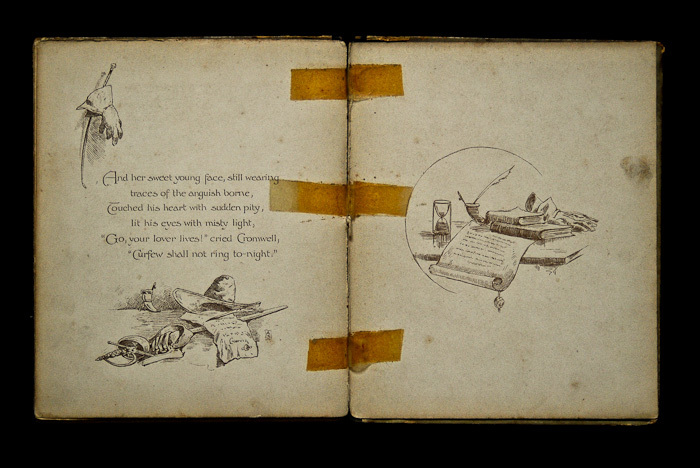 The Open Library website has an online version of George Wharton James’s 55-page book Rose Hartwick Thorpe and the story of Curfew Must Not Ring To-night, first published in 1916, which provides lots more fascinating detail, including the fact that Rose’s family could trace their ancestry back to Old King Cole and that ‘one of the treasured possessions of the family to this day is the Coat of Arms of the Coles, which clearly indicates the kingly descent claimed’. Rose was only 16 when she wrote Curfew, in 1867, and she went on to publisha number of further works, including Remember The Alamo. Her poems were collected and published in the 1880s as Ringing ballads, including Curfew must not ring tonight. 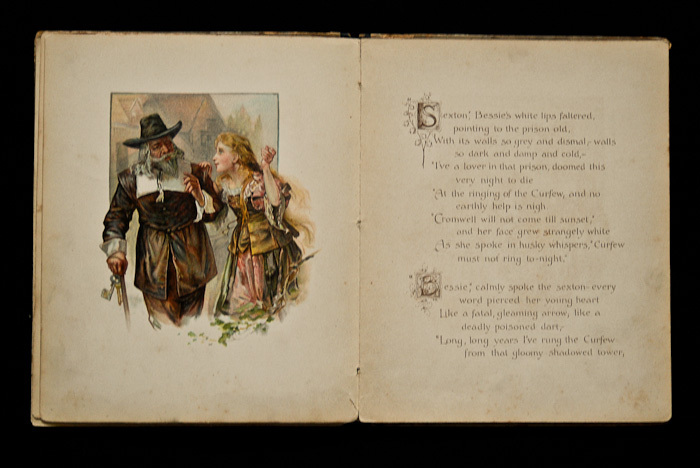 The poem, a favorite of Queen Victoria’s, was one of the most popular of the 19th century. 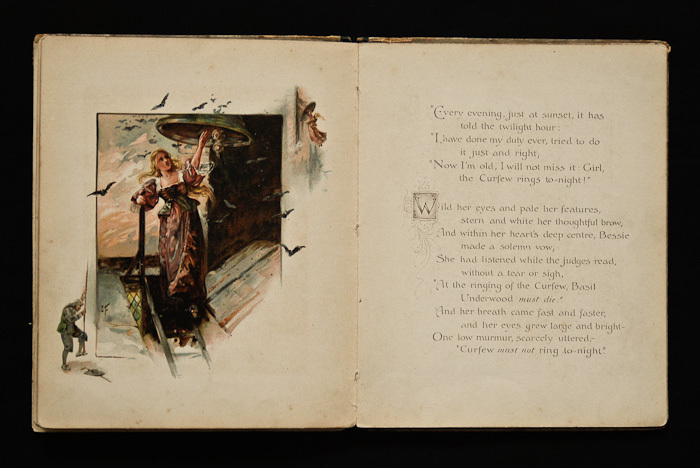 It was set to music in 1895, by Stanley Hawley and published as sheet music by Robert Cooks and Co. As a child I learned to sing the chorus of one of the comic versions, ‘Hang on the Bell, Nellie’, but until now I didn’t know any verses – the internet is an endless source of entertainment. Apparently it was recorded by Billy Cotton of ‘Billy Cotton’s Bandshow’ fame – see Links at the bottom of the page. “The Chertsey Curfew” (below), a poem written sometime in the later part of the 19th century by Boyd Montgomerie Ranking, is a less successful attempt to cover the same theme. I haven’t been able to find out much about Montgomerie Ranking but he’s described as a journalist and a writer of ‘valentines and poetry’. He was apparently based in London, and between September 1881 and December 1884 he was first proprietor and then editor of the magazine ‘Time – a monthly miscellany of interesting and amusing literature’. The magazine’s fortunes slumped under his charge and he was dismissed by a subsequent owner on the grounds that he was attracting an inferior class of writer. However, I also found a mention of him in a William Butler Yeats chronology (23 June 1887: ‘Calls on the journalist Boyd Montgomerie Ranking’), so either Yeats, twenty-two years old and newly returned to London, was working hard to get published and not too fussy about who he dealt with, or the definition of ‘inferior class of writer’ has shifted a bit since then. With a swift and silent tread. A set look on her face so fair. And eyes the tight rope’s strands. In the old accustomed way. That hath such deadly power. And the minutes fast are speeding. And grips at his bridle-rein. 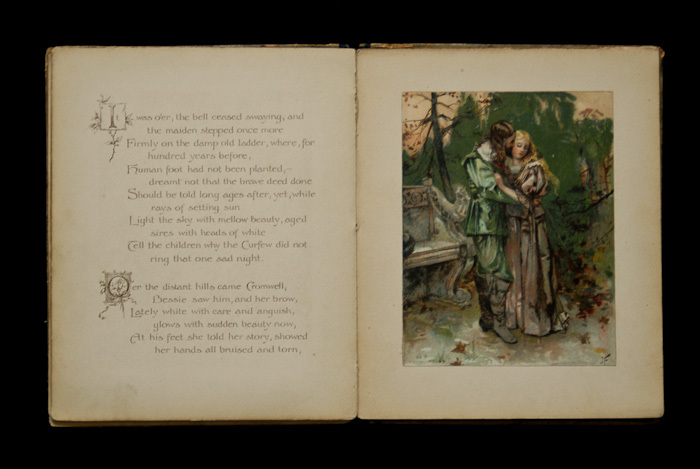 Stoops to his love’s embrace. Of love that nought can quell. The guy in number 13 cell would go out like a light. Has tied her tender torso to the clapper on the bell. Your poor Daddy’s locked in a cold jailhouse cell. Remember the curfew bell must never ring tonight. And Jack fell back across the track and paid the price of crime. They didn’t have a sofa, so they offered him the chair. They could not get their business done, for curfew would not ring! – Wikipedia: Blanche Heriot by Albert Smith. – The story of the Chertsey Curfew Bell. 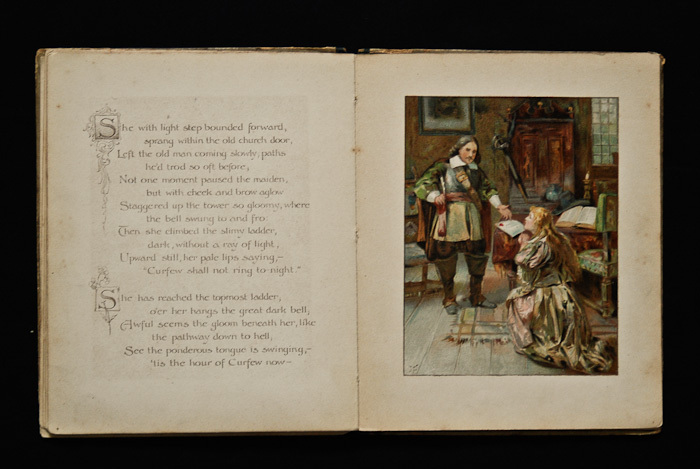 – ‘The Chertsey Curfew’: a copy of the poem by Montgomerie Ranking. 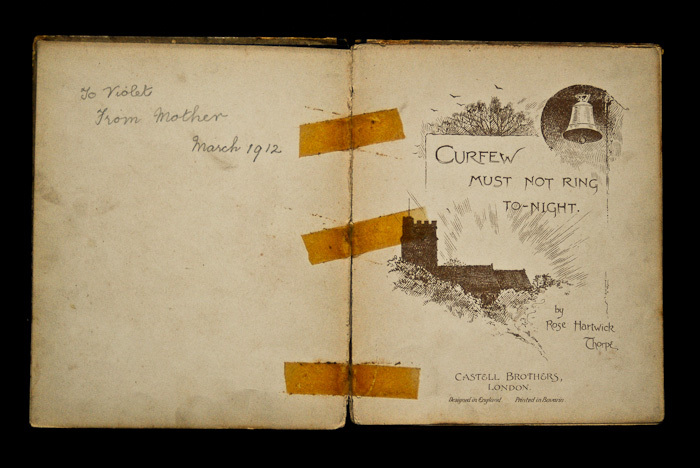 – Rose Hartwick Thorpe and the story of Curfew Must Not Ring To-night at The Open Library. 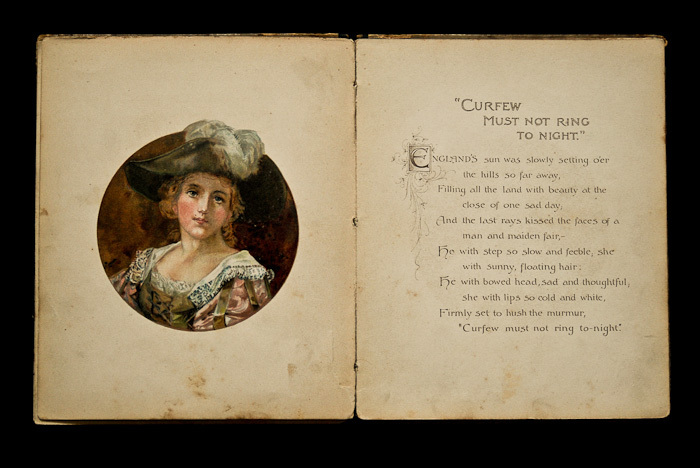 – Rose Hartwick Thorpe: a slightly different version of ‘Curfew’ to the one quoted above: includes the extra verse. – ‘Hang on the Bell, Nellie’ performed by Billy Cotton, on YouTube. 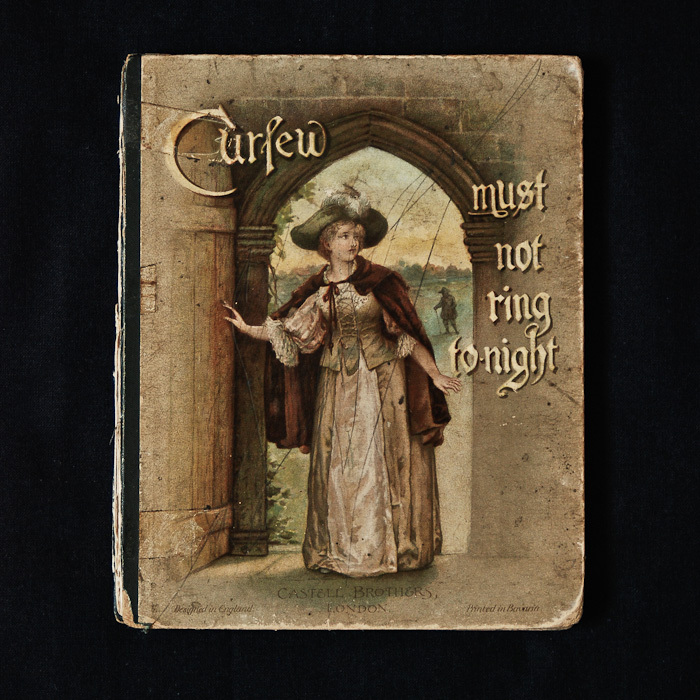 When I was a child (I am 85 now) I remember my mother reciting the poem “Curfew Must Not Ring Tonight.” She had to memorize it in school. She could still recite it years later, word for word. I was gratified to find it on the computer as it brings back such pleasant memories for me when I read it. I recently received a knee replacement and anticipate being in (my home) a lot this winter because of the snow and ice. I think I will memorize it and make sure my children, grandchildren and great grandchildren hear me recite it at least once.